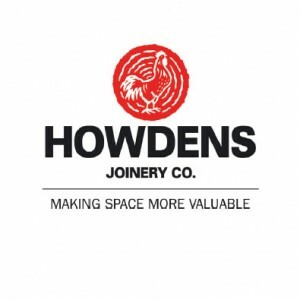 To maximise their productivity, Howdens’ senior management need reliable remote access to their emails. Furthermore, they have to ensure that this access is fully secure, and that web applications such as email are protected from malicious attacks, and can only be accessed by legitimate users. Howdens had, for some time, been using a content filtering device, employed as a reverse proxy server, to protect its webmail applications from malicious external online attacks. Although this was generally effective at its primary purpose it was far from satisfactory, as Ru Gardner of Howdens’ Security Team explains. “Our legacy system did the job of protecting our Outlook Web App from the intrusion of malware, but it caused us a major management headache,” says Gardener. “Quite simply, it was vastly over-engineered for the job of acting as our web application firewall, and was too costly, complex and time-consuming to manage and configure, especially given the wide variety of smartphones, tablets and other mobile devices used by senior employees”. Our business relies on email, so downtime is unacceptable. Remote workers need to be in contact with suppliers and customers at all times, as well as our IT staff who ensure optimal webmail performance at the backend. Our employees increasingly found themselves using a virtual private network (VPN) to access their email securely on the go, but this required staff to log in every time they wanted to check their mail, which was far from ideal. Meanwhile at the backend, maintaining the security of the webmail applications was a constant strain on IT resources and threatened to become unmanageable.